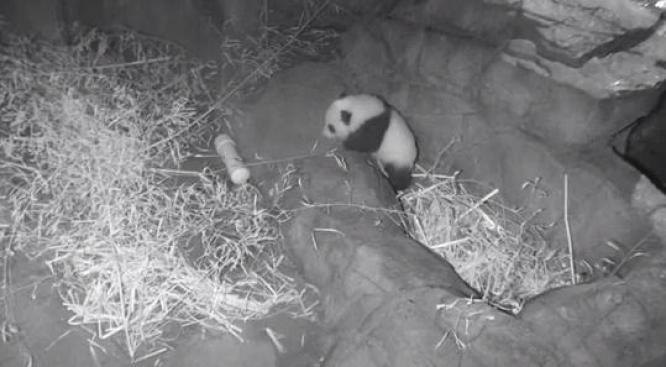 The Smithsonian National Zoo's giant panda cub Bao Bao has had a pretty solid week. She was visited by Hugh Jackman, she made the cover of the Smithsonian Magazine and suffered a minor tumble during her first rock climbing session Wednesday. Mom Mei Xiang was quick to pick her girl up and help her up at a moment's notice. Bao Bao was born Aug. 23 and now weights more than 13 pounds. She will be on display between Jan. 11 and Jan. 17.